Zach Osborne: "Tonight was good, I had good speed all day and felt really good on the bike. 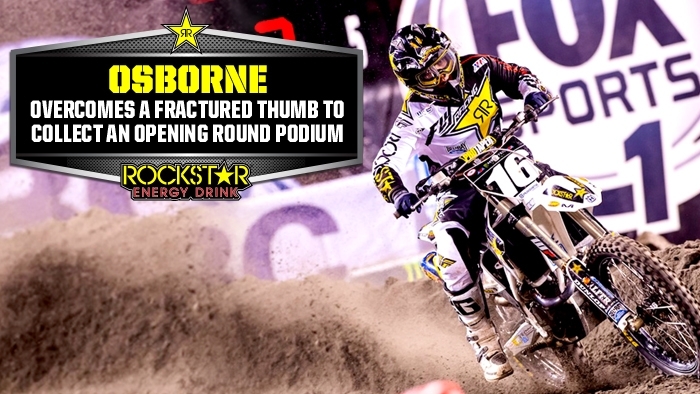 Everything was going well until the heat race when I had a run in with another rider and fractured my thumb. I gutted out the rest of the night. I wasn't even sure if I was going to line up for the LCQ and then I ended up winning it. I wasn't sure what I was going to do for the main and then I got 2nd. It was an awesome feeling to salvage what I did."